PreviousMental Wellness Stickers NextThe G.E.N.T.L.E. Goals Method Workbook + Free Habit tracker! At CrazyCreativeCool, our mission is to make mental wellness a priority! We’re here to support you in moving towards a growth mindset with creative self development journals and tools that improve confidence and self esteem. 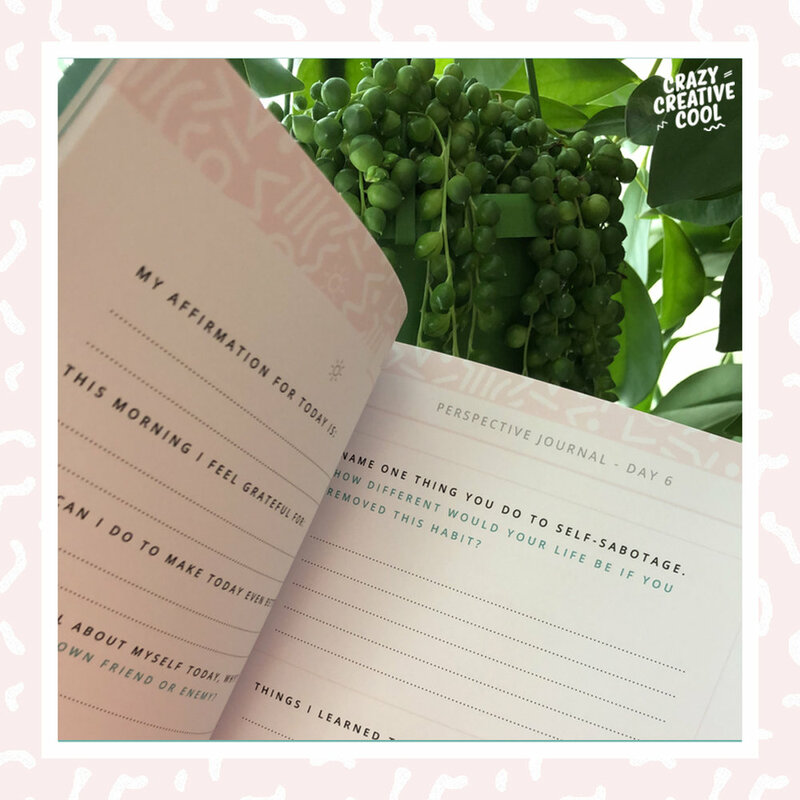 The purpose of the Perspective Pack is for you to create a safe space to take control of your thoughts, reign in negative self talk and practice healthy habits - which will result in a clearer mind, more focus and a stronger self belief. The ability to see things from a new perspective is so vital for this! It gives us the power we need to create real change, the strength to try new things and the confidence to create a new vision for our lives. 78 pages in total, full colour and printed on recycled paper, as detailed above. Journaling daily is one of the best ways to get to know yourself. 4 weeks worth of A4 Wellness Wall Charts to be used as a daily prompt to cultivate healthy habits that are good for your mind and body! Use alongside your Perspective Journal to reinforce the daily routine you want to create. Track things like your daily mood, energy level, screen time, sleep and set a weekly intention. All of these aspects combined, support our mental wellbeing and by using trackers we can get an overview and deeper insight into whether our routines are helping, or hurting us! A place to discuss building / rebuilding self esteem, overcoming limiting beliefs, female entrepreneurship, networking, self care, goal setting and of course managing our mental wellbeing.